THIS POSITION IS LOCATED IN NASHUA, NH. INDIVIDUAL MUST LIVE WITHIN 30 MINUTES OF THIS AREA WORK CENTER WITHIN SIX MONTHS OF EMPLOYMENT. Individual constructs, installs, repairs, maintains and removes overhead and underground electric distribution and transmission circuits, substations and associated facilities. Duties include: rigging poles on both energized and de-energized circuits; installing transformers, voltage regulators, capacitors and reclosures; replacing fuses; and working on overhead and underground equipment and making repairs on energized equipment. The ultimate wage rate for this position is $43.73. •	The successful candidate will have a High School diploma or the equivalent and be able to perform all phases of line work required of a Lineworker First Class. 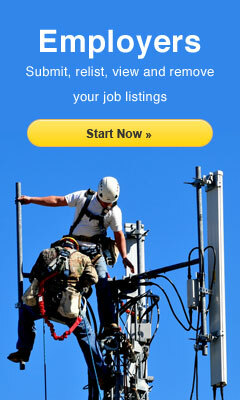 •	Must have a minimum of three years of overhead lineworker experience working on energized and de-energized lines. •	Must have a thorough knowledge of and the ability to apply electrical theory and a complete working understanding of Company line work practices and policies. •	Must have the ability to become a certified rubber glover of 34.5 kV. •	Must be available for and respond to outages, trouble calls, and system emergencies during normal and overtime hours, and reside within a geographical area defined as being within 30 minutes travel time to the assigned Area Work Center within six months of employment. •	Must provide line department standby on a rotating schedule basis. •	Must hold a valid Commercial Driver’s license (Class A with Special Trailer Endorsement) and a safe driving record. •	Must have mechanical aptitude, a thorough knowledge of the electric transmission and distribution system, be analytical, alert, resourceful, and a work history that demonstrates safe work habits. •	The ability to perform moderately heavy physical work outdoors in all seasons and at times for extended periods. •	Must successfully pass the CAST aptitude test or a physical prescreen. •	Employee weight limit for this position is 300 pounds.